Do you find yourself hiding your smile when you meet someone new? Your smile makes a first impression, and it’s your best chance of making a good one! 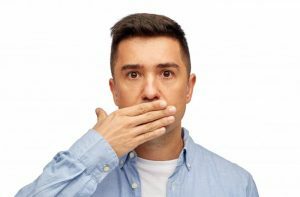 If you feel self-conscious about the appearance of your teeth, it may cause you to hide your smile, and this can affect your personal and professional relationships. If you would like to improve your smile, cosmetic dentistry offers many options. From teeth whitening to a full smile makeover, you’ll achieve the smile of your dreams! Here are some options for you to explore. Often repairing a tooth and enhancing your smile go hand in hand. Today’s dental materials offer durability, but also a more aesthetically pleasing look with the use of tooth colored porcelain that can be customized to match or enhance your smile. Crowns can replace an entire tooth that has been decayed or damaged, while veneers are a thin layer of porcelain designed to fit over your tooth and cover imperfections like staining, fractures, chipping, and size and shape discrepancies. Brightening your smile has never been easier with so many products available! If you’re thinking of whitening your teeth, consult your dentist first to determine which products will best help you meet your goals. Over-the-counter products are often not as effective as the whitening systems your dentist offers. You can choose from in-office procedures for immediate results, or customized take-home whitening trays for the freedom to whiten based on your own schedule, and the ability to update it when you like. Dental implants: These can replace one or more missing teeth. Dentures or partials: Can restore multiple missing teeth or your entire smile. Crowns: Repair an entire tooth. Porcelain veneers: A thin layer of porcelain that fits over your tooth. Tooth colored fillings: Repair small areas of decay and are customized to match your tooth. A full smile makeover can often be done in phases to better fit into your schedule and budget. Contact your dentist to learn more about the possibilities for your smile! Dr. Frank J. Sapienza has been creating beautiful smiles in Brooklyn for over 30 years. His extensive experience and advanced training allow him to offer services you may not find at other practices. Patients enjoy receiving dentistry in a spa-like atmosphere when they choose to work with Dr. Sapienza. 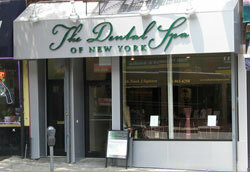 Would you like to contact The Dental Spa of New York? Dr. Sapienza can be reached through his website, or by calling 718-965-6298. Comments Off on What Do Your Teeth Say About You?